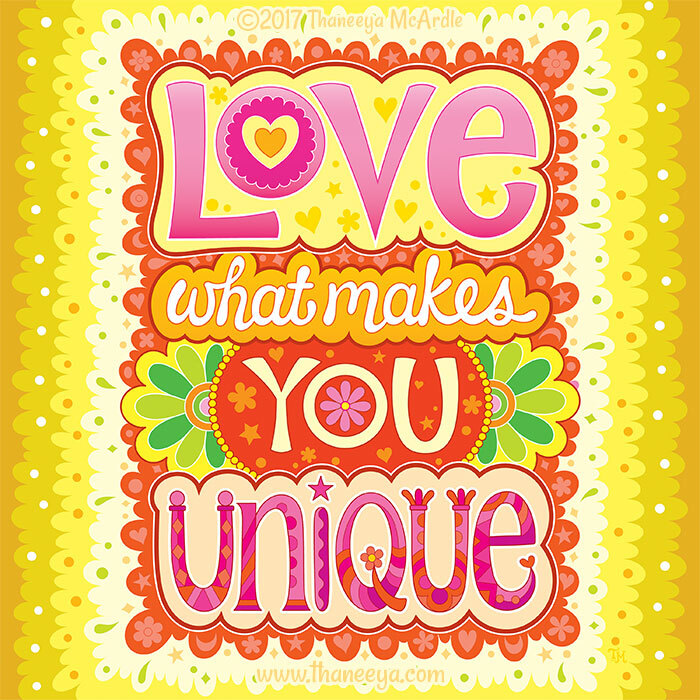 Thaneeya's popular positive phrases illustrate uplifting quotes in her colorful, detailed style. 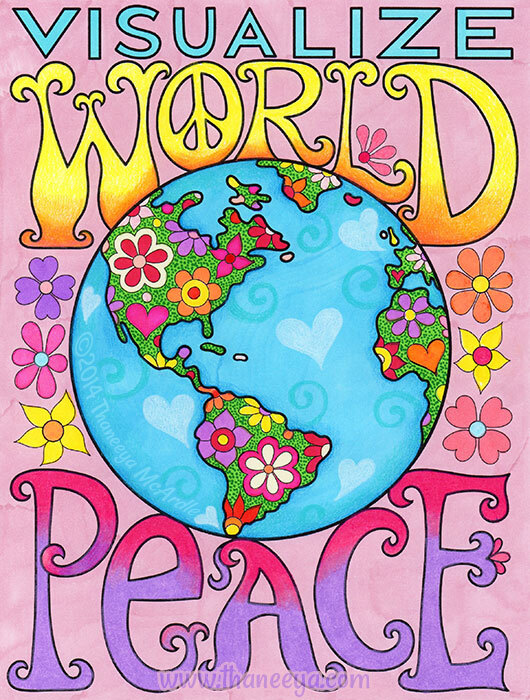 View a gallery of her upbeat mantras and inspiring sayings! 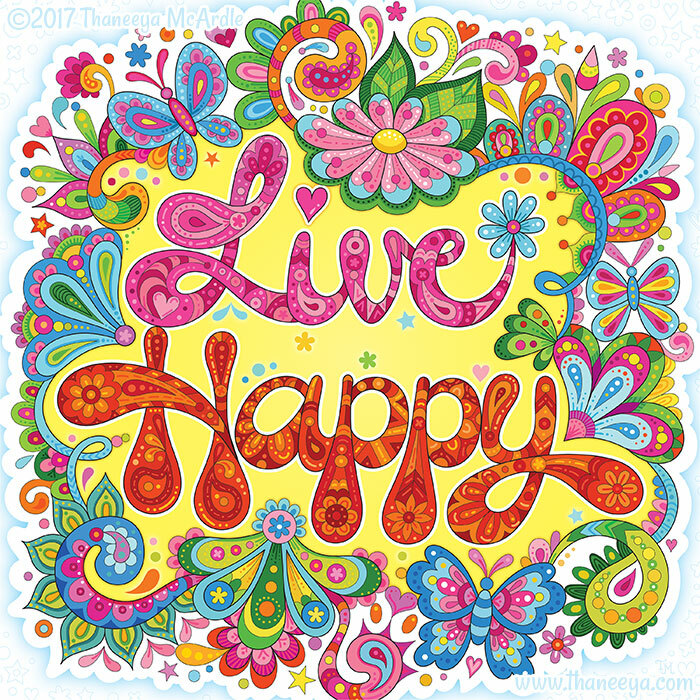 My hand-lettered illustrations of positive phrases combine art and optimism in a vibrant celebration of color and detail! 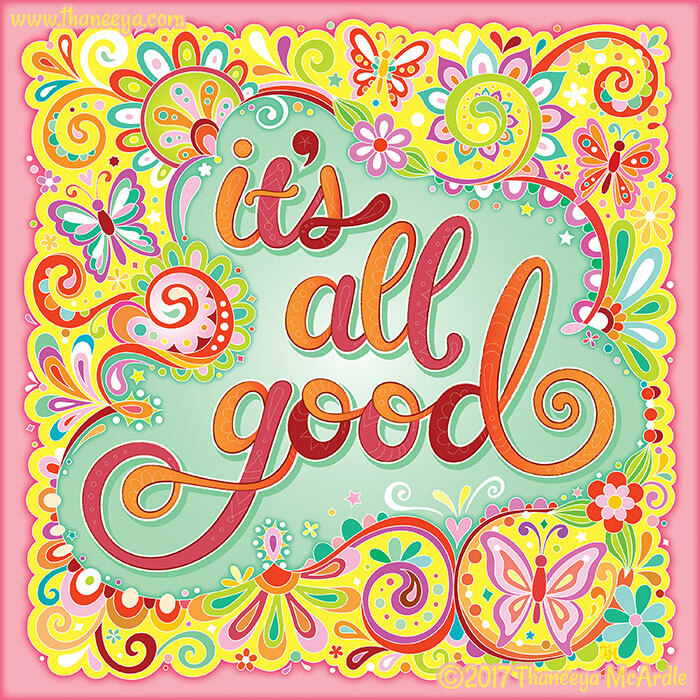 My positive phrases are designed to spread the joy of optimism through color and detail. Each drawing begins as a rough pencil sketch that is carefully honed into the final composition. 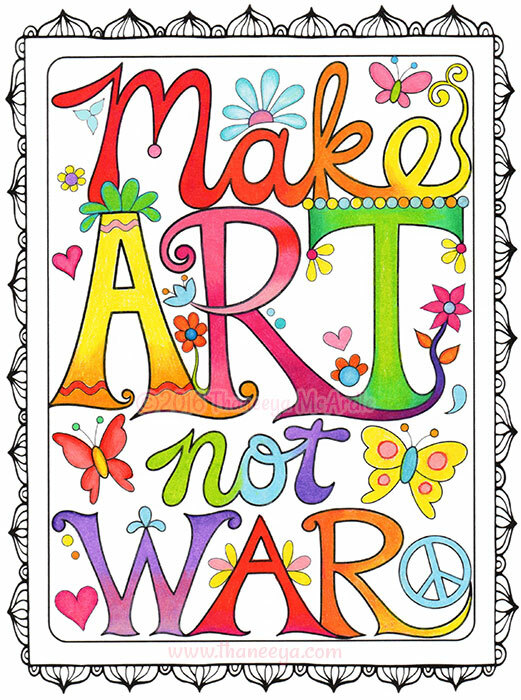 As I draw, I look for ways to inject whimsy into the words, to help bring the phrase to life. Once the composition is complete, I either scan and color the artwork digitally or color it by hand using materials such as Copic Sketch markers (my favorite! 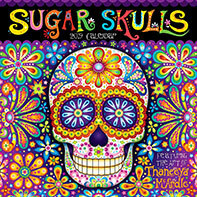 ), Uni-Posca paint pens, Staedtler Triplus Fineliners, Prismacolor Premier colored pencils, and more. 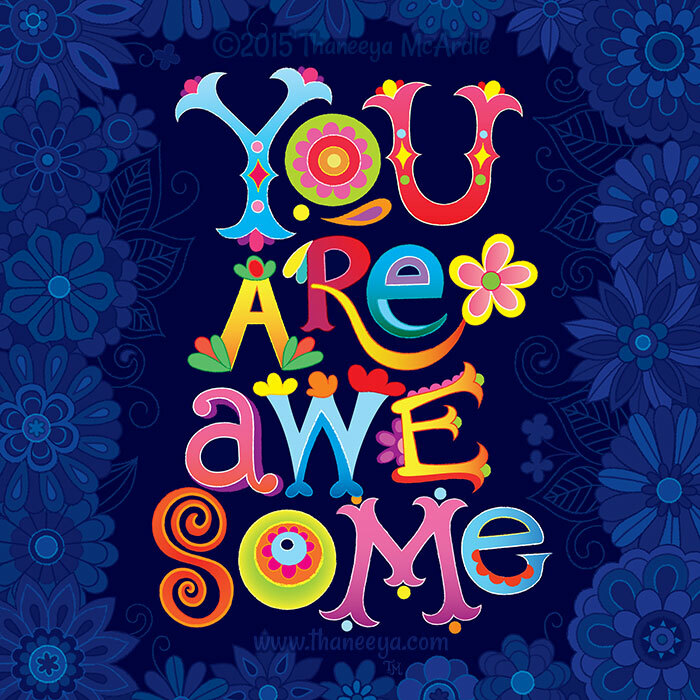 I love creating these little reminders of positivity. Whenever I see or hear a phrase that begs to be illustrated, I note it down in my ever-growing list. 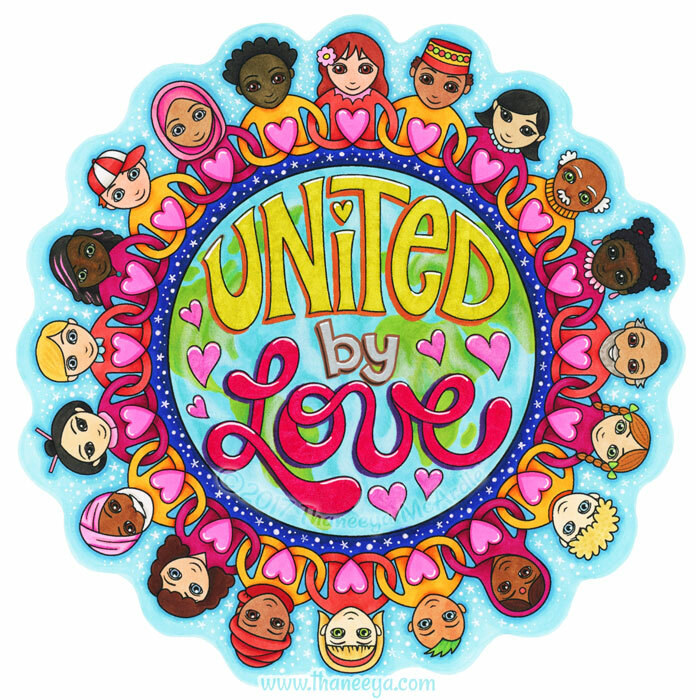 So far I have illustrated over 100 positive phrases, but there are still dozens more on my lengthy list waiting to be become works of art! 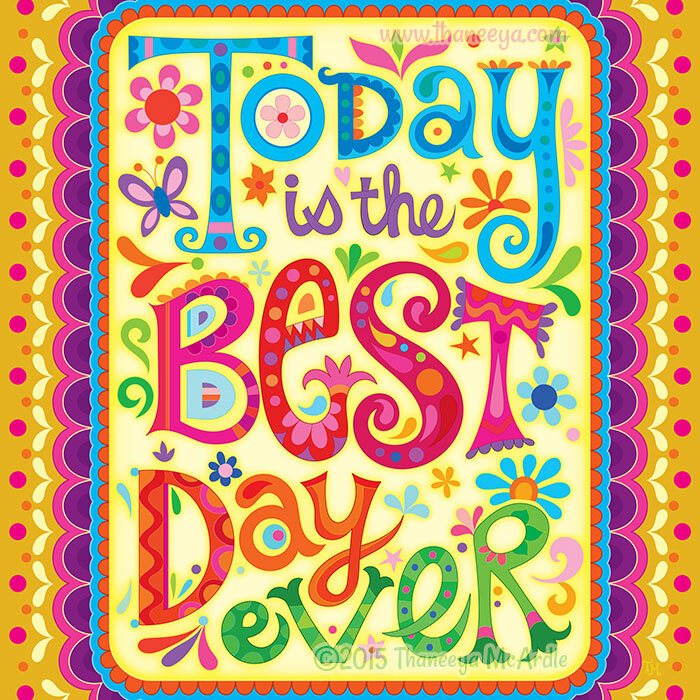 Most of my illustrated positive phrases are still in B+W form, waiting for me to brighten them up with color. 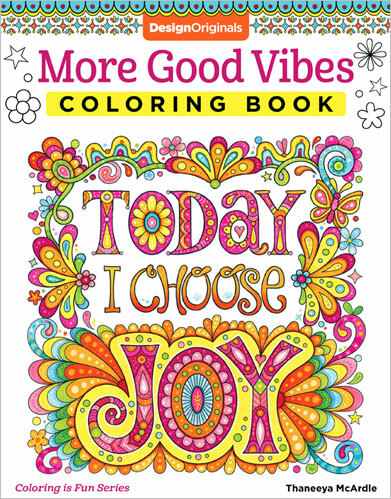 You can color in my positive phrases too - check out my coloring books below! 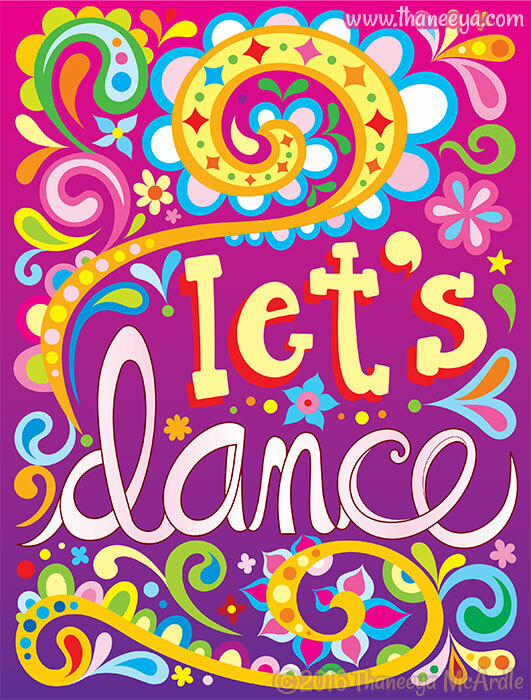 If you enjoy my illustrated positive sayings, why not personalize them by filling them with your favorite color schemes? 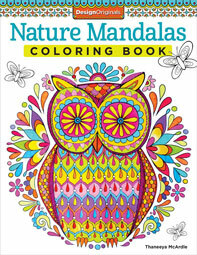 So far I have created 3 coloring books filled with inspiring phrases. The artwork in each book is unique so you won't find any repeats among these 3 books. 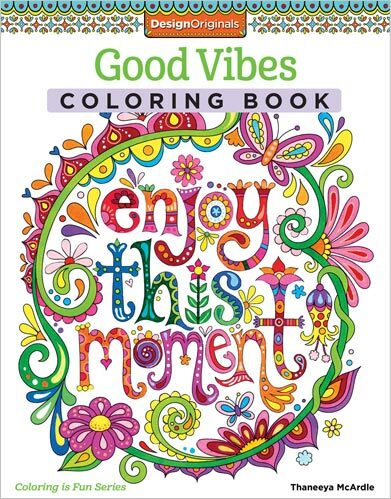 My Good Vibes Coloring Book, published in 2015, landed on Amazon's Top 100 Best-Selling Books of 2016! The follow-up, More Good Vibes, has just been released. In both of those books, the main focus of each page is a positive word or phrase. 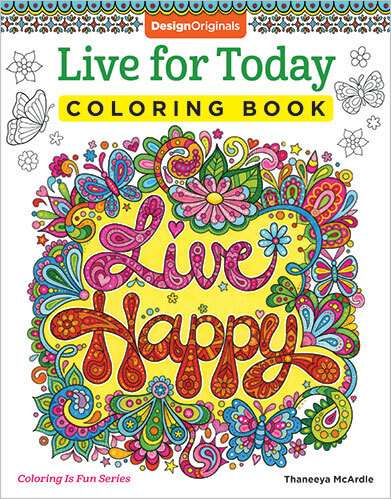 My Live for Today Coloring Book also includes positive phrases on every page, but on some of the pages the words are smaller, allowing the other imagery in the illustration to take center stage. 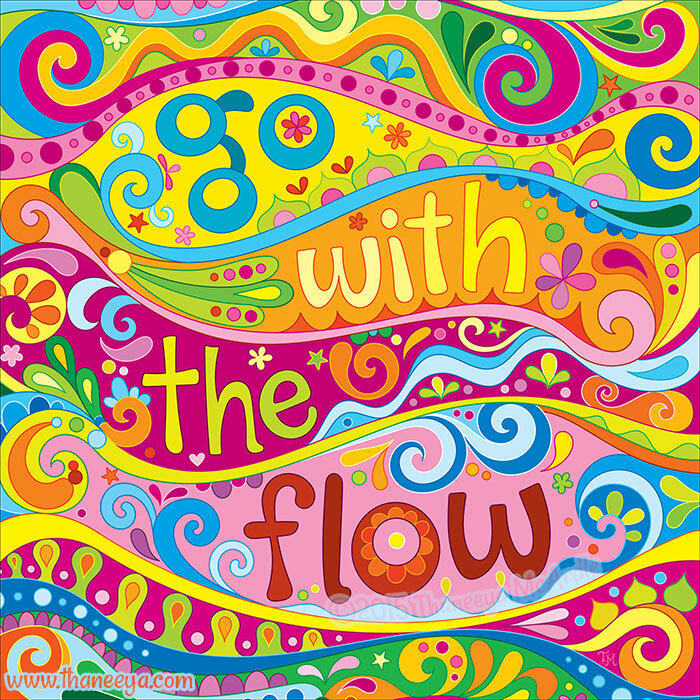 Celebrate every month with my colorful illustrations of positive phrases! 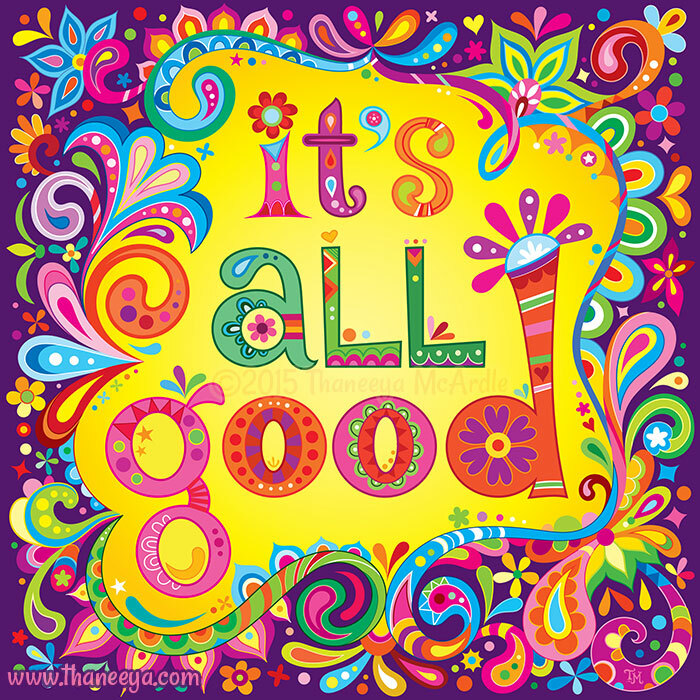 My 2019 It's All Good Calendar includes 13 full-color images (one for every month plus an extra along with grids for September through December 2018)... plus this calendar includes an exclusive 12" x 12" coloring page that's not available anywhere else! 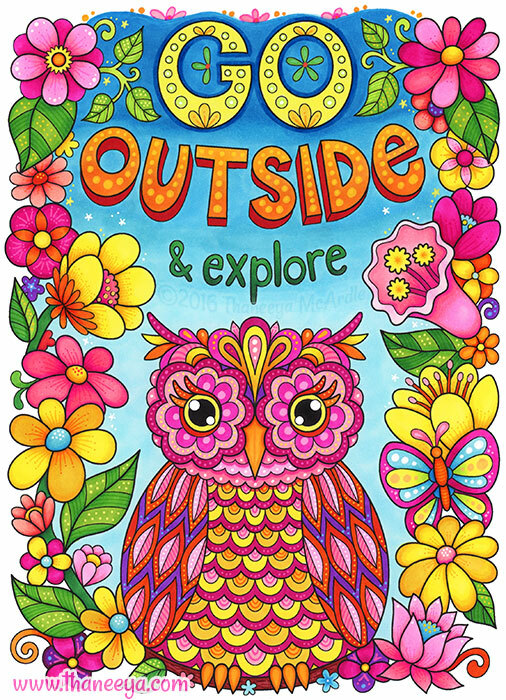 Click here to get a closer look at all the art you'll get in this colorful calendar. 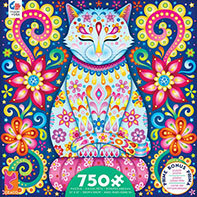 You can find a variety of my artworks in puzzle form. See the full collection or click the images below. 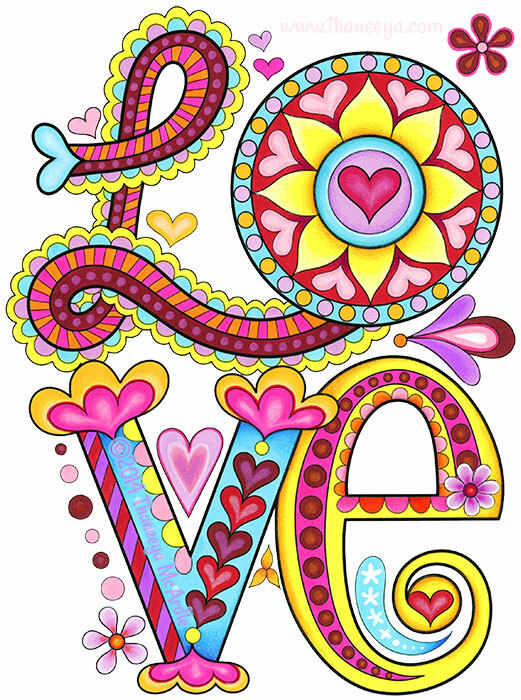 These colorful pendants are an inexpensive way to adorn yourself with positivity! Each pendant is embedded with a sparkly glitter coating which looks like specks in these photos but looks delightful in real life.